Silent night and Holy night. Well, Christmas Eve is here. Here is a picture of some interesting 'nutcrackers' that I saw in a christmas ornament store. 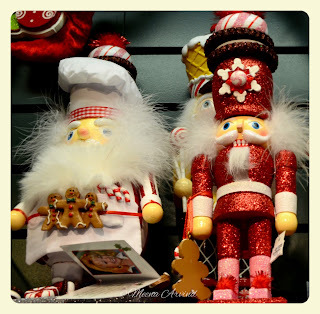 Loved these and so, here is a snap shot of these lovely nutcrackers.